The best way for runners to ice when they have plantar fasciitis. Icing can dramatically decrease the amount of inflammation in your heel and plantar fascia. The simplest way to ice the heel is to put an ice pack on the floor and rest your heel upon it. If you keep an ice pack in a freezer at work, you can do this several times per day while you’re working at a desk. If you are going to ice your heel this way, you should apply the ice for ten minutes at a time. You should do this several times a day. A soft ice pack or frozen family-size bag of peas work great. The frozen peas will ice the area but also are mobile enough that they will contour around all sides of the heel, and the foot sinks down into the bag. You can refreeze the bag repeatedly (just don’t eat the peas!). This likely is the easiest way, but it is not really the most effective. 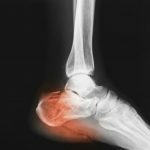 Believe it or not, there are nearly 100 medical articles and chapters in sports-medicine textbooks that discuss the benefits of ice to help heal sprains like plantar fasciitis. Overwhelmingly, doctors agree that applying ice helps—but they don’t agree on the exact method of icing. If you have plantar fasciitis, you need to know what has been proven to provide the most benefit so you can get back to normal as quickly as possible. 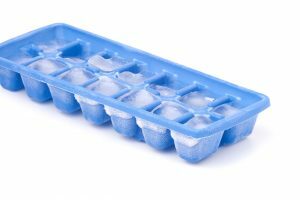 So here’s the deal: Studies show that the most effective use of ice is short duration. Ten minutes of ice every hour appears to be the best method of treatment. Applying ice in short sessions will keep the internal muscle temperature lower, stops the inflammation, while allowing the skin to warm up. This prevents any possibility of skin injury such as frostbite. To ice your heel, here’s the best way to do it. you should take a thin terry-cloth towel or washcloth and place it under cold, running water to get it wet. Rinse an ice pack and wrap it up in the towel. As an alternative, you can just place ice cubes inside the wet towel. Melting ice water soaking through a towel is the most effective way to ice the heel and plantar fascia. Place the towel against the skin and the ice over the heel. The ice wrap should cover the outside of the heel from the arch area, across the bottom of the heel all the way to the back of the heel. The image below shows the areas you should cover with the ice wrap. Again, place the ice pack over the tender area, wrap with an ACE bandage. The ACE wrap holds the ice pack in place for 10 minutes. One word of caution: Be careful when you get up and start walking after you apply ice. Researchers have found that reflexes and motor control can be impaired for up to 30 minutes after icing. 6 This could put you at risk of stumbling and re-injuring the plantar fascia. Although Icing can help reduce inflammation, there is something even better. A much more effective icing regimen is called contrast baths. Contrast baths are one of the simplest and most effective treatments to stop the inflammation that causes heel pain. Contrast baths basically consist of alternating cold and hot temperatures to remove inflammatory fluid and stop new inflammatory fluid from accumulating around your heel. Contrast baths work like this: You begin by putting your foot in icy water. The cold temperature shrinks down all of the tissue and closes off the blood vessels. After a few minutes, you take your foot out of the cold water and submerge it directly into hot water. The dramatic change in temperature causes all the blood vessels to open very quickly. This sudden influx of blood flow flushes out all the inflammatory fluid. You repeat this a few times, alternating between hot and cold. In the final stage of the session, when you submerge your foot in the ice water, the cold temperature will slow the blood flow and halt the inflammation in the foot, heel, and plantar fascia. 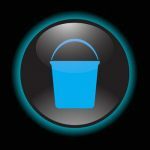 A two-sided utility bucket simplifies the contrast bath routine. You simply fill one compartment with hot water and the other compartment ice water. The water should be deep enough to completely submerge the foot. Following are step-by-step directions on how to perform contrast baths: Place a towel on the floor in front of a comfortable chair where you can sit during the contrast bath routine. The towel will ensure that you don’t make a mess. Get two soaking pans that are large enough for your foot to submerge up to the ankle. Fill one pan with cold tap water, and add a single tray of ice cubes to make the water as cold as it needs to be. Fill the other pan with hot water—approximately 100° F, like you would find in a hot tub. (The temperature should never exceed 104° F.) Place your hand in the hot water to confirm that it is hot, but not too hot to tolerate, or check the temperature with a thermometer. The reason this step is necessary is that, when you take your foot out of the cold water and put it directly into the hot water, the hot water is going to feel extremely hot. Part of this perception has to do with the extreme difference in temperature between the hot and cold pans of water. If you have not confirmed that you will be able to safely tolerate the temperature, it is possible that you could burn yourself. Take your foot out and immediately place it in the hot water for two to three minutes. Take your foot out and immediately place it in the cold water for two to three minutes. The contrast-bath routine will take about 20 to 30 minutes total, including setup and cleanup. The warm water will feel better than the cold water while you are performing the contrast bath soaks, but it is worth repeating that it is critical that you start and end with the cold water. Several patients have told me that the contrast baths made their heel pain worse. In every case, I asked the patient to explain to me the exact routine that they were performing. They all admitted that they had left their foot in the hot water at the end. They always said that the hot water felt good and soothing that they decided to end the routine there. The problem with ending the contrast-bath routine with your foot in the hot water is that it will leave the blood vessels fully dilated and increase the amount of blood flow to your foot and your heel. Because you have had chronic inflammation in the bottom of the heel, your body will be pumping even more inflammatory fluid to your heel over the next few hours. The collection of inflammatory fluid causes the heel to hurt much worse the next day. As a result, when you wake up in the morning, you actually have worse heel pain than you did the day before. This is predictable if you leave your foot in the hot water. This is why it is necessary to put your foot in the cold water at the end of the contrast-bath session. Contrast baths are most effective when performed at the end of the day. Performing the contrast bath right before you go to bed will stop all of the inflammation in your heel at the most beneficial time. For the next eight hours or so, you will be asleep and will not be walking on the heel. You won’t be activating the muscles in the feet to stimulate increased blood flow. When you sleep lying flat, there is no pooling of blood in your feet or your heel due to gravity. Your heart rate also decreases as you sleep. Your blood pressure goes down, which further slows the inflammatory process. Of course, you remain this way for several hours. This is why it is so effective to do the contrast baths right before you go to sleep. You’re essentially capitalizing on all of these situations at the same time. Ideally, you should perform the contrast baths two or three times per day. If you’re able to do so, great! The reality, however, is that, for active adults who have jobs, children, sporting activities, and workout routines, doing it that often is difficult. It’s a cumbersome process. If you are able to do it only once per day, be sure to do it at night just before you go to bed. 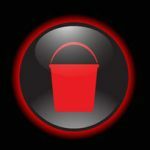 One warning about contrast baths: Do NOT perform them if you have any history of diabetes, peripheral vascular disease, poor blood flow, frostbite, or Raynaud’s disease. Never begin any treatment without your doctor’s advice. It seems that, whenever I see a patient who has plantar fasciitis and is about to go on a business trip, they explain, “Well, I won’t be able to do that until I get back from this trip.” This, of course, is nonsense. Every hotel that I have never been to has an ice machine somewhere down the hall and hot water coming from the tap in the bathroom. Many of them also have a hot tub, which makes it even simpler. The following is an example of a patient who traveled under the most primitive circumstances, yet still was able to perform the contrast baths daily. The patient was getting ready to go on a trek to Nepal with his wife. He tried the contrast baths and had virtual resolution of his symptoms. Months in advance, he was very worried that he would have pain while he was on the trip and that they would not be able to continue on the trek. 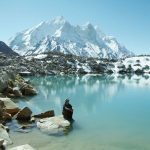 But he found an ingenious solution: Inside his backpack that he carried on his expedition through Nepal, he took two large plastic storage containers in which his foot would fit. They were lightweight and easily fit inside his backpack. His clothing was tucked inside the Tupperware containers, so they barely took up any additional space. When the expedition group would get to camp, he would go to a nearby glacial stream and soak his foot in the river of melted snow. He didn’t even have to look for ice trays. 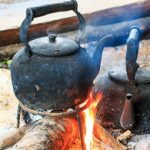 One of the porters would then heat up water in an iron kettle over an open fire. He used this for the hot water. He did every night when they got to camp and he had no pain at all during his entire trip. He said that it was somewhat amusing that he was able to do the contrast baths in the Himalayan Mountains—but he did it, and he and his wife enjoyed their trip … and he had no pain while on the trip. The point of this Is that if he can do this in the Himalayas, you can definitely do this at home. Don’t neglect this step and don’t just say you can’t do it because you’re on a business trip. Fortunately, for you at home, it’s going be much simpler. Again, though this just speaks to the effectiveness of the routine that someone would go to this much trouble in order to perform the contrast bath while on vacation. Granted, contrast baths are much better than icing, but also remember that icing is better than nothing. If you can ice the foot during the day when you’re too busy to perform contrast baths, it still will help. One easy solution is to take a bag of frozen peas and keep it in the freezer at work. While working at a computer sitting at a desk, you can simply take the bag of frozen peas put it on the floor under your desk and rest your heel on top of the bag. The peas will conform to your foot, cradling your heel and icing it. After ten minutes, put the bag back in the freezer to use again later. That’s a simple, effective, and convenient alternative to supplement the contrast baths. «« Should runners use NSAIDs when they have plantar fasciitis?